aSpire is a free e-mail newsletter that includes brief, entertaining and informative content to keep you up to date on the Catholic faith, Pope Francis and activities in the Diocese of Little Rock. You will find news you might have missed, short inspirations and useful tips and resources to help you practice your faith in a digital world. 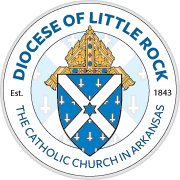 This newsletter is a publication from the staff of Arkansas Catholic, the official newspaper for the Diocese of Little Rock. The word "aspire" means to desire or yearn for something great and that is the calling of all Christians. Use the form below to subscribe instantly to receive the next issue. You will receive an e-mail message with a link that you must click on to confirm your subscription. We do not sell or share our subscriber information with anyone else. We use MailChimp to power our e-mail subscriptions. You can unsubscribe whenever you like. To advertise your business or organization in aSpire, contact Pete Stabnick at (501) 664-0125.